Core Solid Body integrates the B-Side Plate, level wind guard and frame into a solid once piece construction. This delivers an unprecedented feeling of rigidity and sensitivity, and is the first design of this type in a low profile baitcast reel. The new, light weight MAGNUMLITE (MGL) SPOOL design, significantly reduces the moment of inertia, allowing anglers to experience greater casting distance and accuracy with a wider variety of lures. 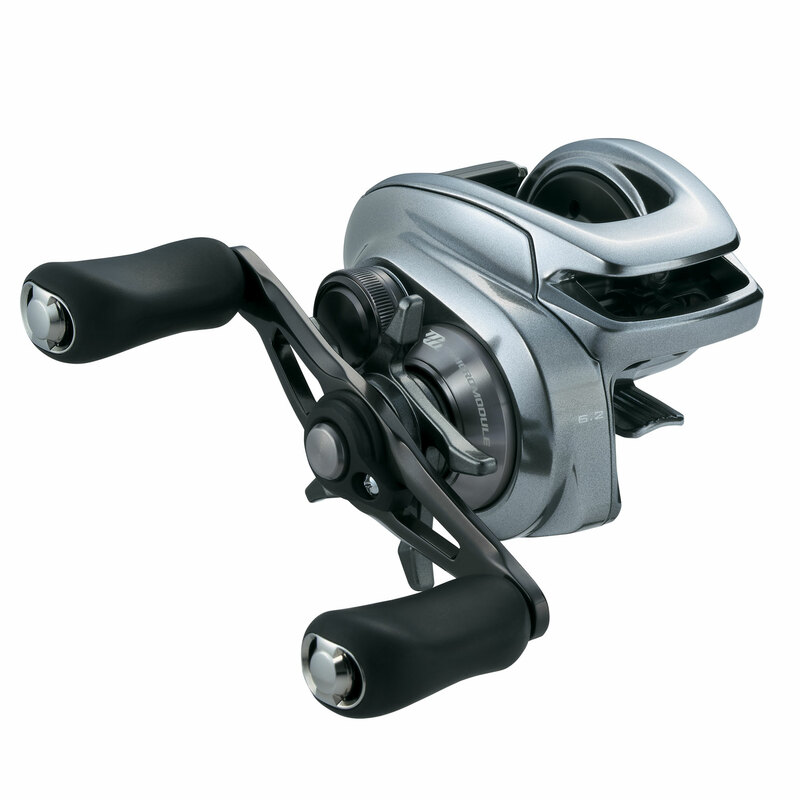 Shimano's S3D technology leads to significantly reduced spool vibration. By designing a balanced and uniform thin wall aluminum constructed spool, S3D creates an incredibly smooth feeling when casting and retrieving lures.